For your intended task that must be done for twenty four hours, Daily Planner Templates will list down all of it without missing any schedules or meetings. With daily schedule planner in Microsoft word, excel and pdf file can make the timetable for your chores more acceptable in your work or life, here you are the boss to what is to be done first and last. 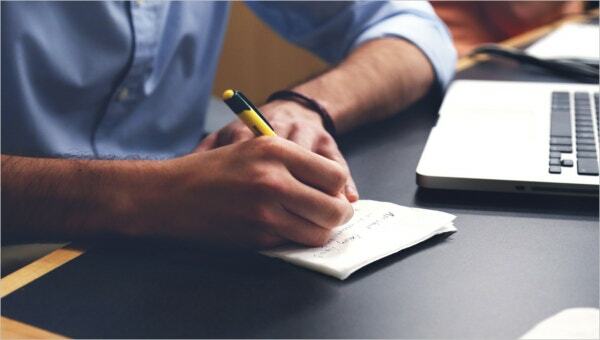 All of the approach you will undertake can be enlisted in the planner with other schedules that will make up your activities to be able to accomplish your objectives for the day. Any changes in the outline of it can be done from fonts and tables that will be your to do list for the day. Cute daily planner templates are one of the best templates that can make your work easy and can also save your time. These templates are available in different styles and patterns and so they can give you a lot of options to choose from. Teacher daily planner templates provide the best option for the teachers to plan their daily work accordingly. These templates give a lot of space and thus help to manage a large sum of data. You can get these templates in different styles and formats for your use. 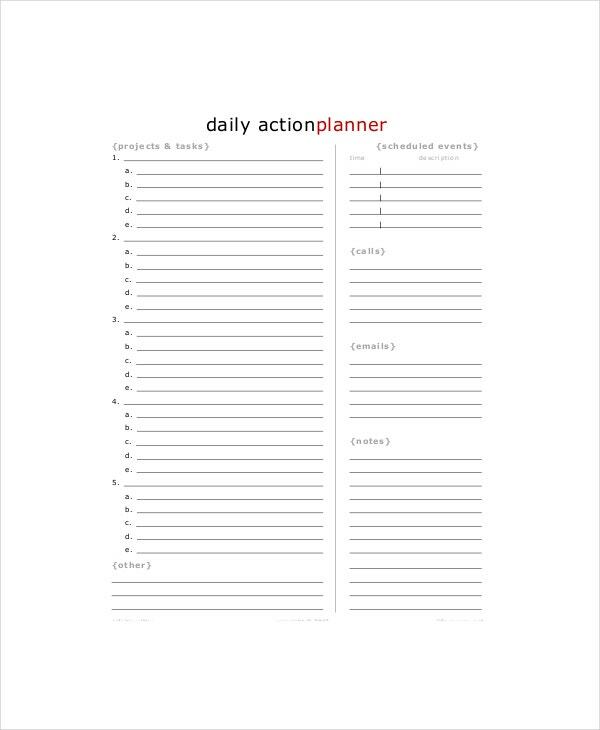 Daily action planner templates use latest widgets and features to make your work easy and assist you. With these templates, you can make all the necessary attempts to promote your work and make it better. You can also see Daily Meal Food Planner Templates. 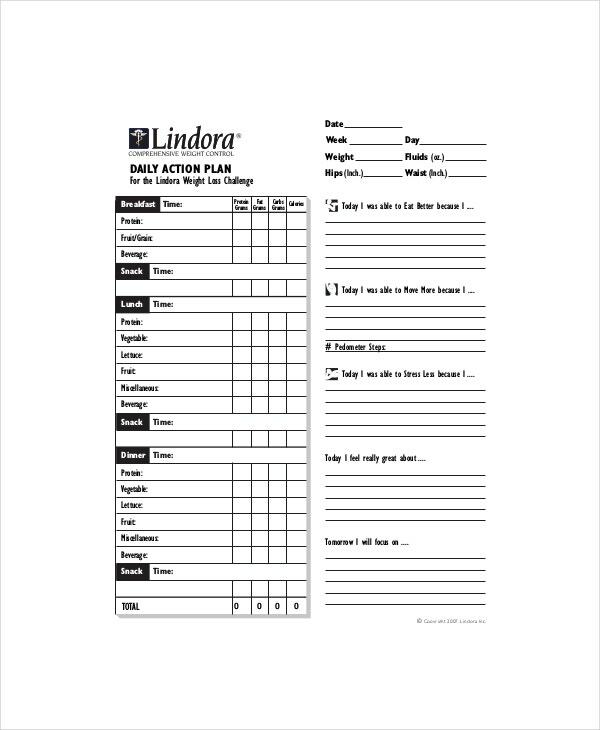 > Why do I Need Daily Action Planner Templates? Daily action planner templates provide for the best templates as they have all the widgets and tools to make all the work look beautiful. They give you proper space to add contents and they are easy to understand as well. You can edit and customize these templates based on your choice. 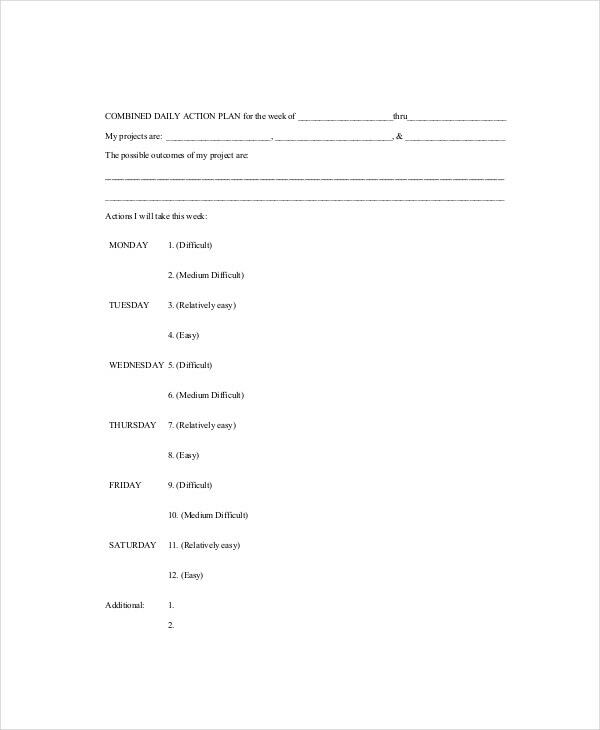 > How to Create/Make Daily Action Planner Templates? 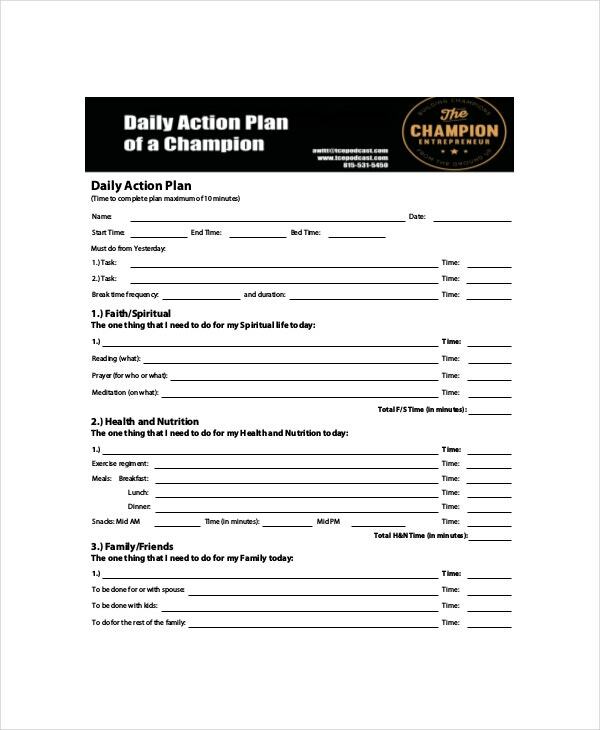 You don’t need to create or make daily action planner templates. These templates are created by the experts who have worked day and night to come out with interesting templates such as these. You can download them for free or through payment from any templates website. These templates are available in different formats. You can also see Trip Planner Templates. 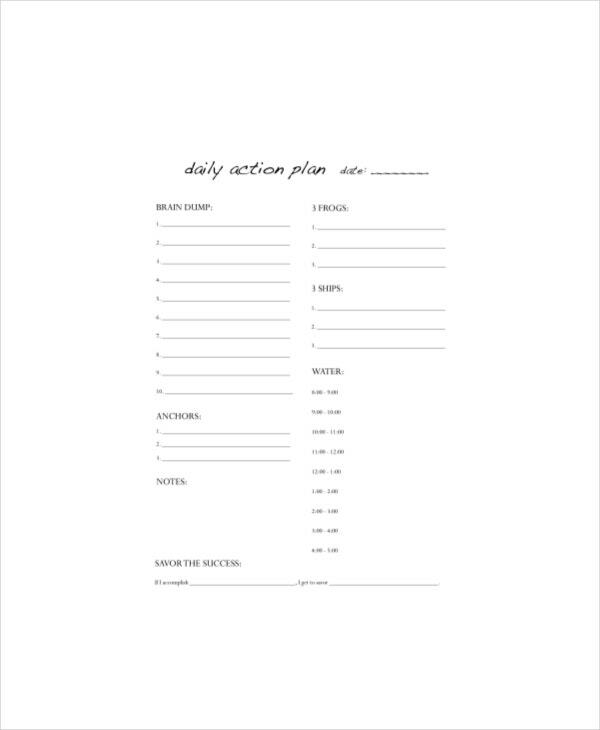 Daily action planner templates are the result of the hard work of several designers and technicians who put day and night to work for you. These templates are available in different variety and so they give you a lot of options to choose from. You can get a lot from these templates as they aim to give you all the necessary features to highlight your daily plans. You can get these templates from many websites.